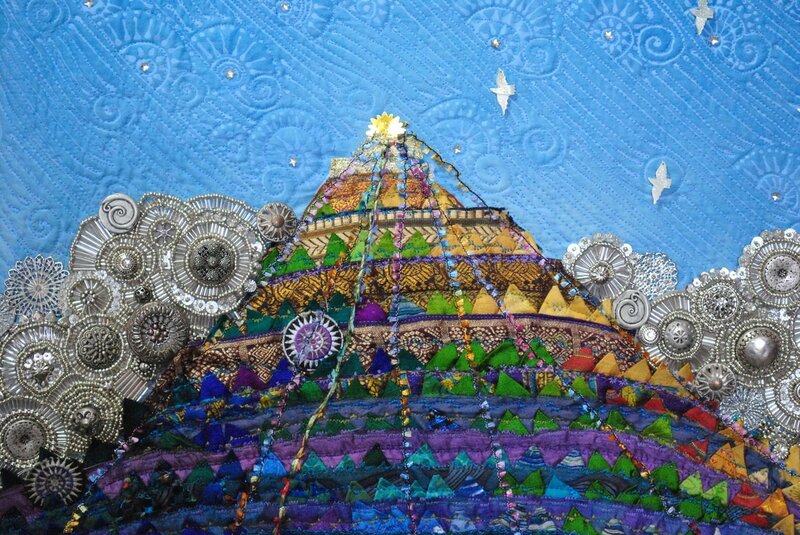 The Sky Prayer Series are pieces that reflect my thoughts about how hopes, wishes, thoughts, dreams, and prayers rise collectively to fill the sky above us. This piece is about the memory of a homeland. It is about how all those memories might distill into the feel of the wind, the angle of the light, and the colors of the textiles. It is constructed with a hand painted gradient dyed cotton background. 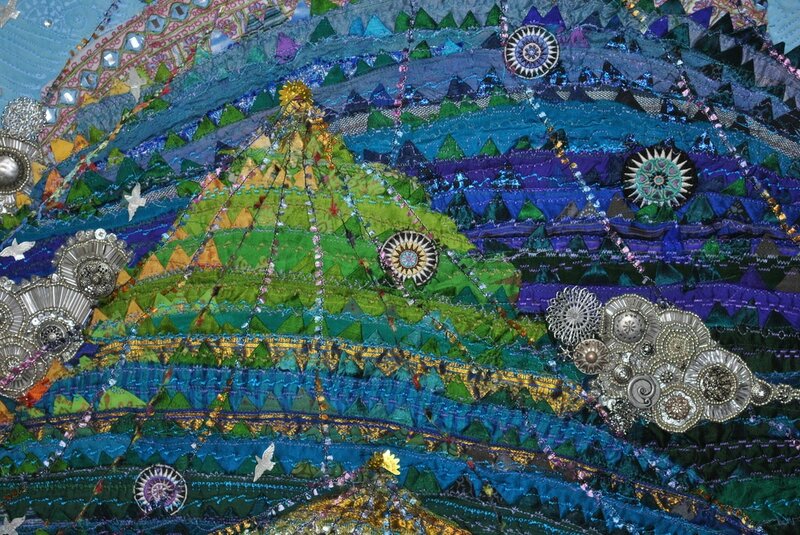 The peaks are folded prairie points of silk, cotton, rayon, satin, and chiffon, which are sewn onto recycled sari ribbon and trim. The piece is hand beaded and embellished using buttons, beads, sequins, carved mother of pearl, crystals, and carved bone. Machine and hand embroidered.